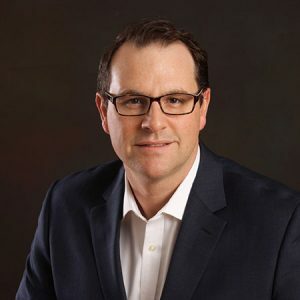 Joe McCabe, the President & CEO of AutoForecast Solutions LLC (AFS), leverages decades of industry experience and knowledge to provide production forecasting, advisory services, and business intelligence solutions to the global automotive community. He is responsible for managing the global vehicle, powertrain, and drivetrain forecasting operations, as well as the development and deployment of AFS proprietary business intelligence software solutions. The combined suite of AFS services provides insight into current and future business opportunities as well as tracking revenue and competitive activity down to the part number level in a user-friendly, web-based environment. The mission at AFS is to help customers defend their core operations while identifying areas for growth. Prior to founding AFS, Mr. McCabe was President of Automotive Compass; part of the strategy team at PriceWaterhouseCoopers; and led the supplier competitive assessment team at AutoFacts. AFS supports all tiered suppliers, VMs, government agencies, financial institutions, and the academic community. The AFS integrated approach provides customers with the right tools, data, and services to enhance their business planning and competitiveness initiatives. The complete AFS suite of innovative, web-based planning solutions is powered by detailed global vehicle, powertrain, and drivetrain production forecast databases. Both the comprehensive historical and production outlook is tracked down to the monthly, platform and program level. In essence, every vehicle and their powertrain combinations for an eight-year planning window. But the true value add of AFS is the focus on customer support. Customers gain direct access a team of subject matter experts; each with over 25 years of experience in the industry. Clients are further supported through weekly, monthly, and quarterly market analysis reports. Mr. McCabe holds a bachelor’s degree in chemical engineering from Villanova University and a Masters of business administration from Penn State University.